We regret to inform you that Free USA Shipping on ALL orders will be ending January 31, 2016 due to the recent postal rate increase. Beginning February 1, 2016 Diaper Junction's shipping rates will be as follows. 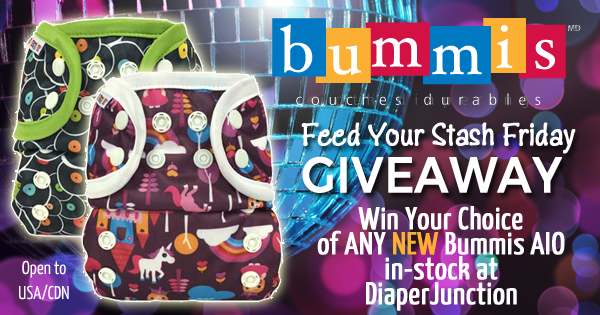 1/29/16 FYSF, Win a NEW Bummis All In One Cloth Diaper! This weeks giveaway is a GREAT one! 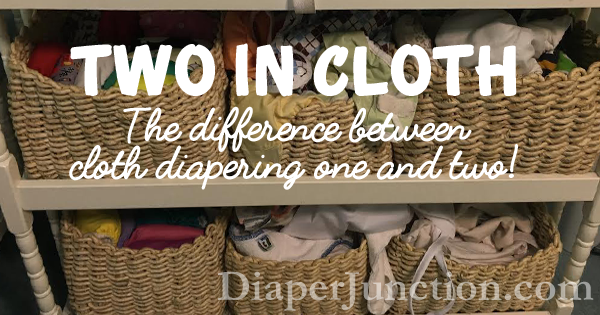 We're giving you all a chance to win one of the newest products to hit the shelves here at Diaper Junction, the Bummis OS AIO Cloth Diaper! 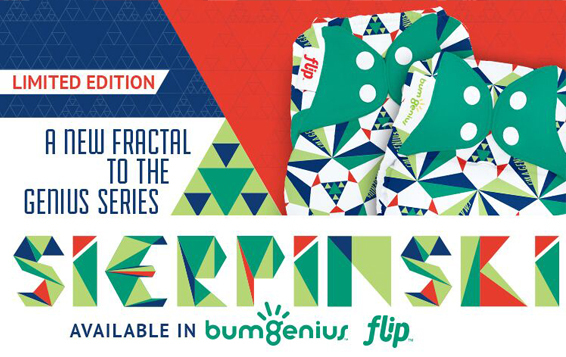 Introducing bumGenius' NEWEST Limited Edition Print, Sierpinski! Sierpinski is a colorful and fun NEW Limited Edition print from bumGenius that will be stocking very soon at DiaperJunction.com! Bummis NEW One Size All In One is NOW In-stock! 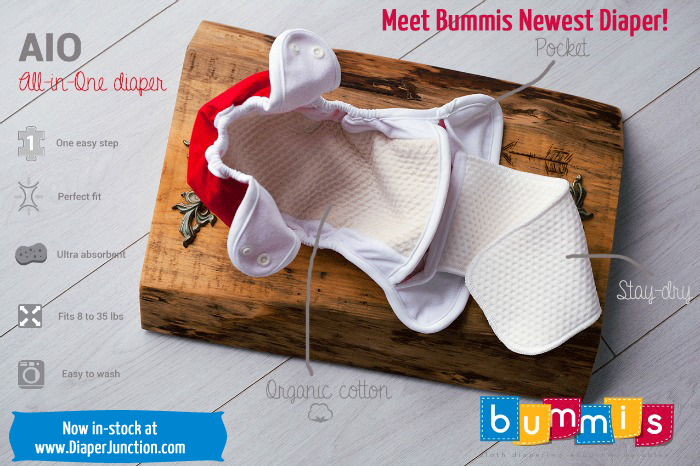 It's the moment we've been waiting for, our shipment of Bummis NEW One Size All In One Cloth Diapers have arrived and we can't wait for you to try them! 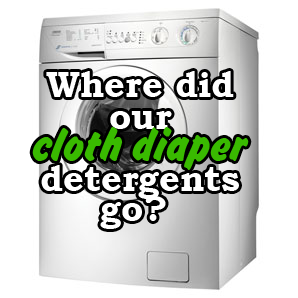 It's time to enter to win in our newest weekly cloth diaper giveaway. This week we're featuring an item from our Diaper Fashion category! Win your choice on ANY in-stock Playwoolies from Sloomb at Diaper Junction! Thirsties NEW Straight to My Heart Limited Edition print in-stock! 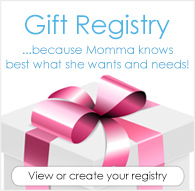 Valentine's Day is just around the corner and Thirsties has got you pegged! 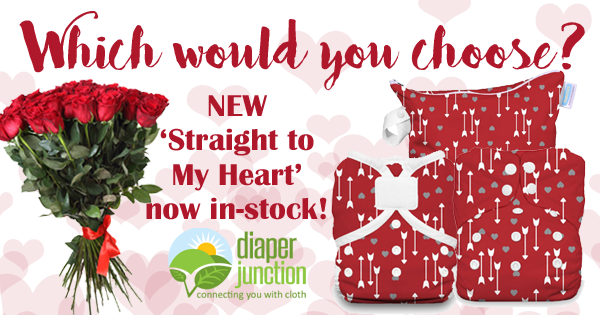 Who wants flowers when there are gorgeous Valentine's Day cloth diapers just waiting to be added to your stash?? New Prints in-stock, Brave and Precious, from Buttons Diapers! Adorable prints at affordable prices? That's always the case with Buttons Diapers and this stocking is no exception. Brave and Precious are both adorable new seasonal prints from Buttons Diapers and both are in-stock at Diaper Junction. Tribal prints with a modern twist, Brave is gender neutral while Precious lends itself toward pink and blue hues and tones. Thank you all for entering our great giveaways each week. Last week's winner has been notified and we have a new giveaway for you! Here's your new Feed Your Stash Friday Giveaway! 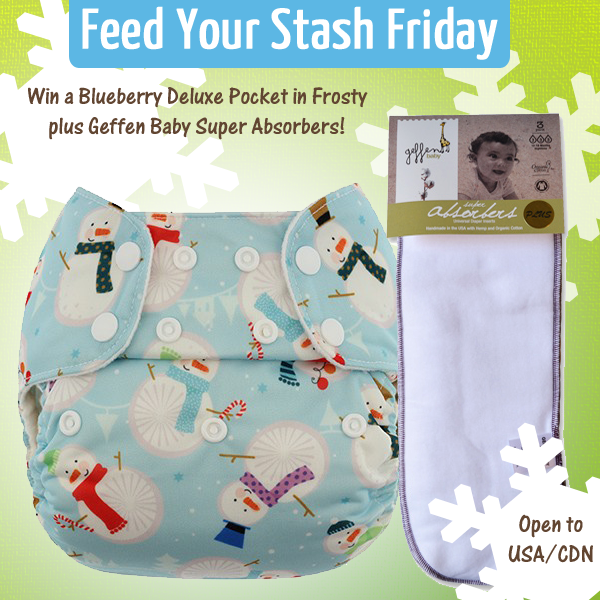 Enter to win a Blueberry Deluxe Pocket Diaper in a special Limited Edition print and a pack of Geffen Baby Super Absorbers! 1/8/2016 FYSF, Buttons Jack Frost Trial Pack Giveaway! This week's Feed Your Stash Friday is ready to accept your entries! 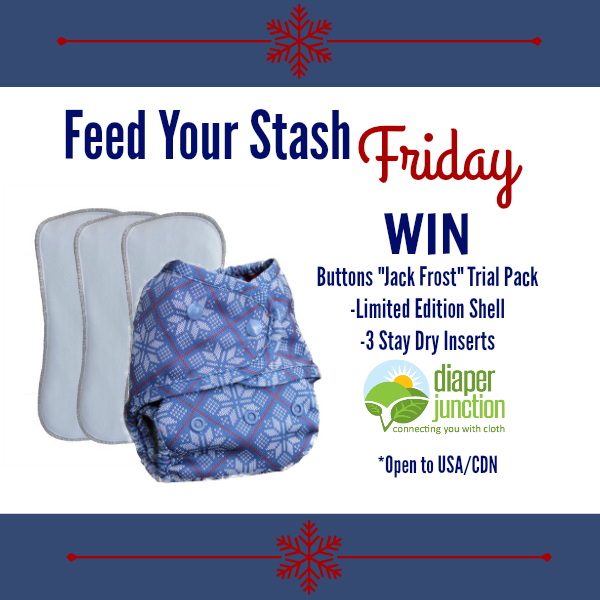 Enter to win a Buttons Diapers Jack Frost Trial Pack.